Search for Utah Activities & Events by Holiday. 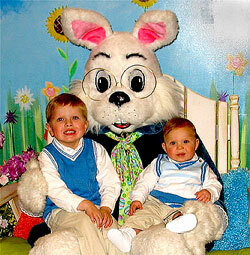 Stop by The Shops at Riverwoods for a chance to get your picture taken with the Easter Bunny. He’ll be at The Shops at Riverwoods on April 16, the weekend before Easter, for kids to stop by and get their photo taken. A professional photographer will be onsite for those wanting their picture taken. 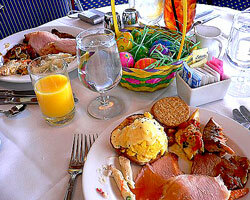 Visit Gardner Village for an exquisite Easter Brunch Buffet at The Gathering Place on Sunday, April 24 from 9 am to 2 pm. There will be a bountiful selection of fresh crepes and omelette’s, scrumptious desserts, breakfast and lunch items and even a chocolate fountain with all the trimmings. $19.95 adults, $10.95 children (3-11). Call 801.566.0917 for more information. First-come, first-served seating. *This is an ongoing listing which will be updated until Easter, so check back with us! If you know of an Easter Egg Hunt which is not mentioned please Email UtahAgenda. Thank You & Happy Spring!